Taylor-Made Deep Creek Vacations’ owners and employees recently celebrated another successful summer season with their annual “End of Summer & BBQ Cook-Off Party!” As a typical Taylor-Made affair, there was an abundance of food, fun, games and prizes. A great time was had by all. An overflowing buffet of food proved once again that there are many talented chefs amongst us (excluding myself as I am officially the “Bring Soda” gal; something I have come to terms with). Justin, from our Hot Tub Department, took home the coveted “Main Dish Grand Prize” for his scrumptious Hawaiian pork and Housekeeper Billi Jean won the “Main Side Dish Grand Prize” for her white potato salad. Both dishes were awesome and deserved to win! (For a full list of the BBQ cook-off winners, see our album on our facebook page.) A big thanks to everyone who put their culinary talents to use and contributed to our table. Joe, Jodi, & Chad continued showering us with goods as multiple other prizes were given out. Tying for 1st place in our “Above & Beyond “contest was Kim G from our Maintenance Department and Chris R from Reservations. They proved that they not only believe in giving the best customer service possible but they are more than willing to go above and beyond to help our guests, vendors, and coworkers! Heather & Jason from Housekeeping took 2nd place as their dedication was shown many times throughout the summer as they were always willing to go the extra mile and step in if need be! Way to go guys! 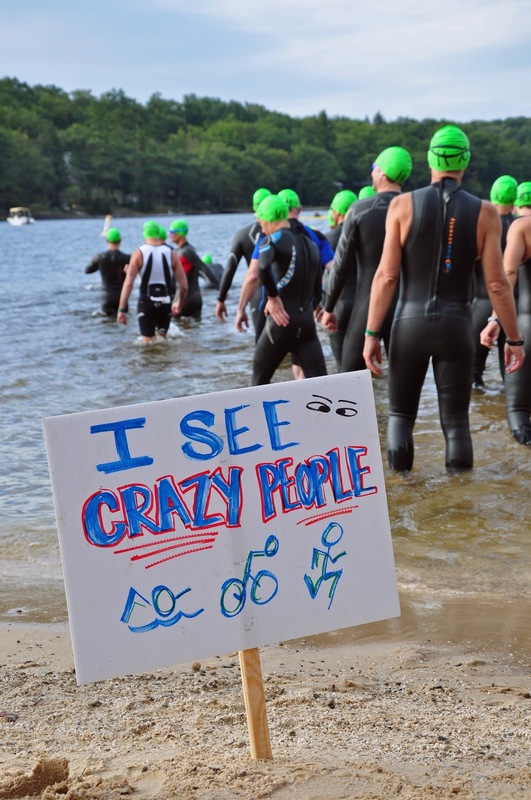 Taylor-Made would also like to give a heartfelt “Welcome” to all of the Savageman triathletes that are in the area this week. 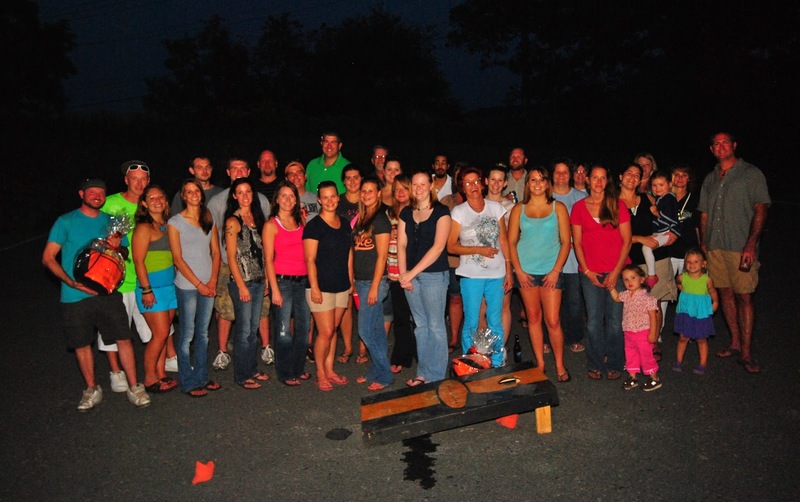 Savageman is an event known as the “voice of melanoma prevention, detection, care and cure.” Stop out and support these athletes at the finish line (Deep Creek State Park). The Joanna M. Nicolay Melanoma Foundation and Garrett County Health Department will be offering complimentary skin cancer screenings on both Saturday and Sunday from 9:30-2:30. Best of luck to all participants! http://www.winthefight.org/savageman/index.htm In the meantime, Taylor-Made Deep Creek Vacations is offering some spectacular Fall saving so call today (1-866-351-1119 or online www.deepcreekvacations.com) to plan your future Deep Creek stay. We can’t wait to see you at the lake! Things have really been heating up at Deep Creek Lake these days and I do mean that literally. Higher than normal temperatures have graced our area this last week. Luckily, we have that great big lake with 65 miles of shoreline to cool off in! Speaking of lake activities, Taylor-Made Deep Creek Vacations would like to give a big shout out and thank you to Deep Creek Marina for taking some of our owners and staff out for a paddleboarding lesson and session. A great time was had by all (and seeing the pictures of Joe taking a dive in the water were an extra bonus!) The boards are rented out by either an hour, 2 hour, or 4 hour sessions. 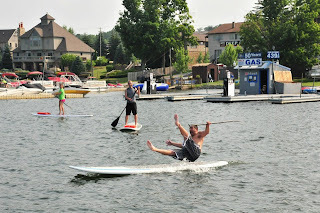 One of the newer water sports to hit Deep Creek, it is quickly gaining in popularity as it is a great way to enjoy the lake while getting in a little bit of exercise at the same time. We highly recommend you check it out. Another shout out to Jordan from Deep Creek Marina, who stopped by our office to let us know about the latest boat rentals that they have available this year. The most interesting, by far, is the new 18 person “Limo” Boat! This would be great for a large family or even a wedding party to take out. Also, if you’re in the area this weekend, make sure you stop by the Deep Creek State Park to check out the 13th Annual Art in the Park! This is a great chance to check out some original artwork including jewelry, photography, pottery, baskets, paintings and more. They are all offered by regional artisan vendors. They will also have food, nature programs, silent auctions, craft demonstrations, and more. Definitely a great activity for the whole family to enjoy. 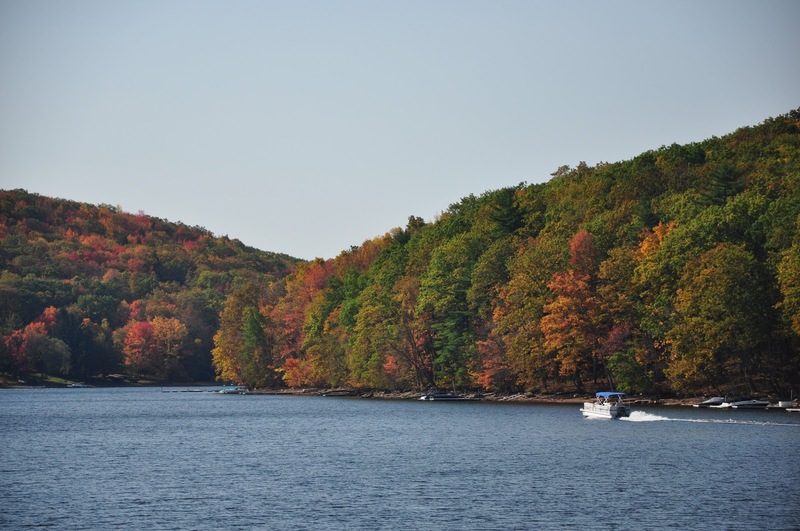 Now is a great time to call and get some last minute deals for your next Deep Creek Vacation. A great way to beat the heat is a visit to the mountains. Call Taylor-Made Deep Creek Vacations today (1-866-351-1119) or look us up online @ www.deepcreekvacations.com We can’t wait to see you at the lake!